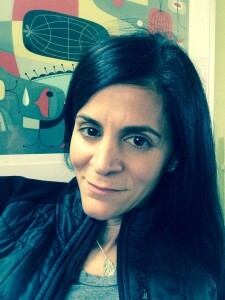 Jen Findling graduated from Michigan State University with a Bachelor of Arts Degree in Advertising. She also studied at The Center for Creative Studies in Detroit, Michigan. After graduation, she worked for a well known, Detroit based advertising agency and later for another company where she was the in house graphic designer. On the side, she freelanced and grew her own client base. Eventually her freelance graphic design business soared and she was able to start her own business. In 1996, she incorporated American Graphic Corp. (aka Creative Geniuses) and rented a space for her studio in Birmingham, MI. Since then, Jen has been successfully designing and developing logos, brand identities, websites and marketing campaigns for a diverse client base. Primarily referrals, her clientele includes retail, wholesale, online businesses, automotive suppliers, property developers, law firms and more. Mostly self taught, her broad skills in combination with her creative and artistic talents enable her to offer a well integrated repertoire of services. These include logo design, web design, graphic design, copywriting, advertising and more. Jen takes great pride in her work. She listens to the client’s specific needs and custom designs everything herself. In 2004, The Birmingham (Michigan) Historic District and Design Review Commission selected Jen to receive the Historic Preservation Award – Commercial Sign Award for the storefront and sign she designed for The Fuchsia Frog (a boutique store in Birmingham, Michigan)..